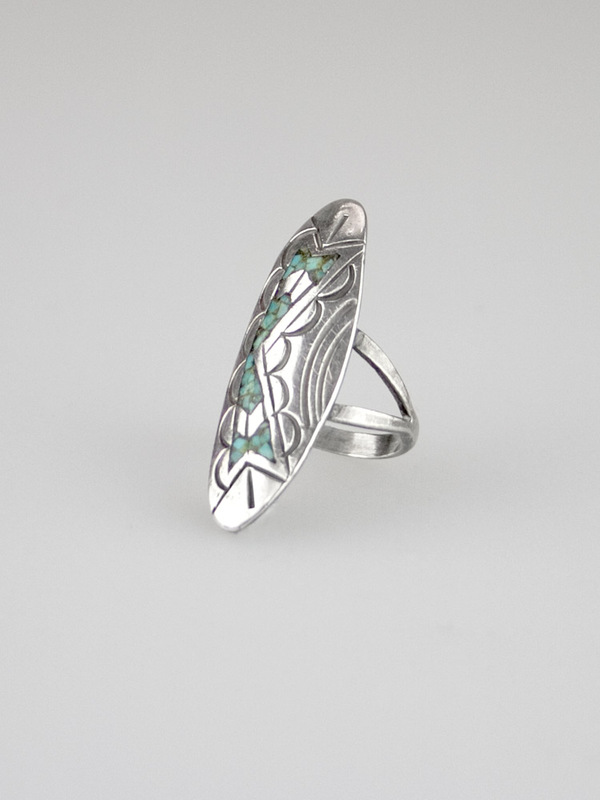 Original 1970's Native American sterling silver hand crafted turquoise chip inlay ring. 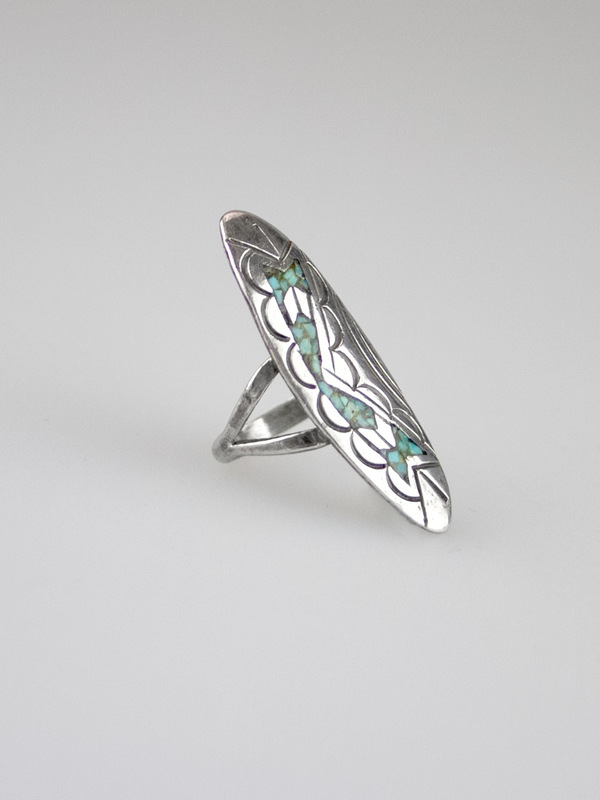 Elegant, long slender pointed shield shape (goes all the way to your knuckle) with turquoise chip inlay and oxidised stamp work, prong back - amazing vintage ring. 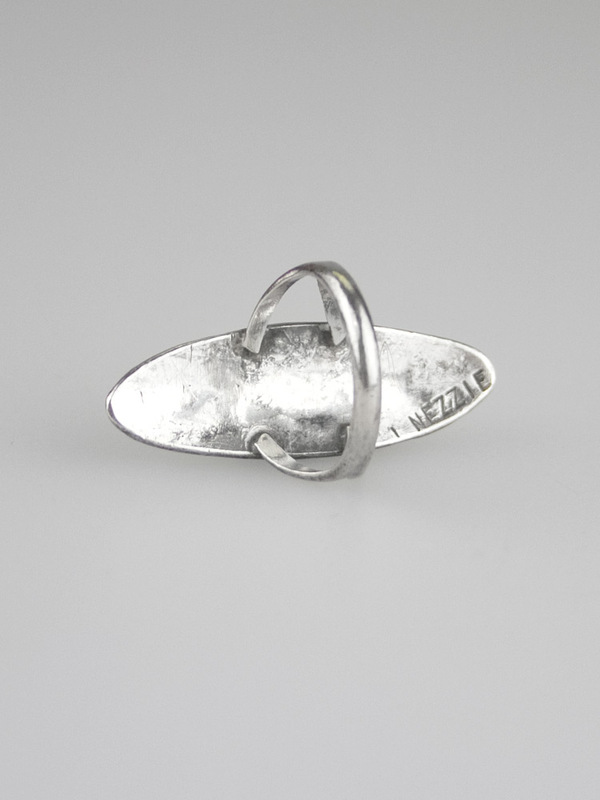 J NEZZIE but it's stamped on an angle and the bottom of the J is missing - see pics. 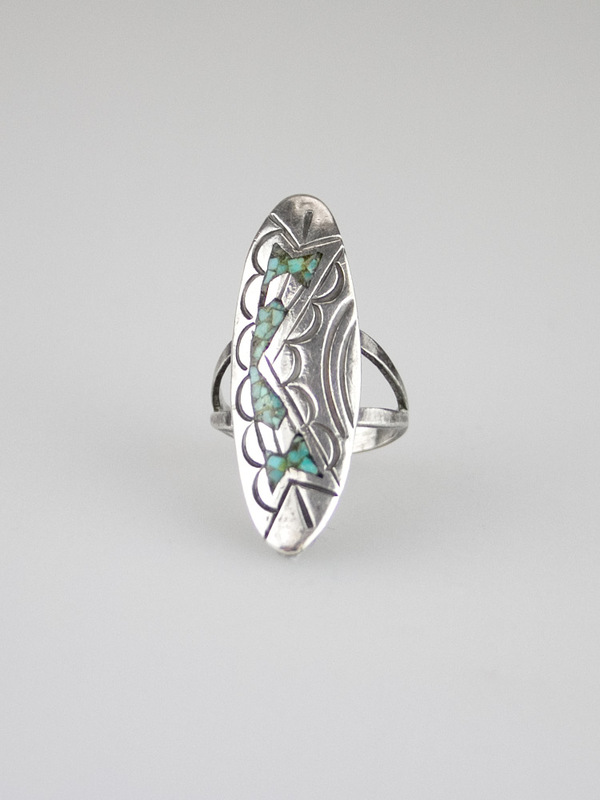 No purity halmake but this is common for Native American jewellery, acid tests positive for sterling silver.